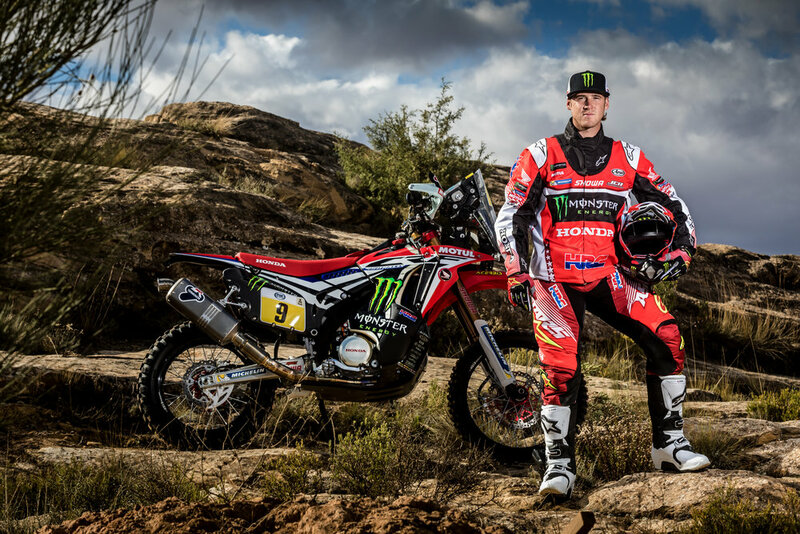 It has been an intense career so far for young Ricky Brabec who was signed for his first Dakar Rally at just 24 years of age. The American, does however, have a lengthy list of titles to back him up. 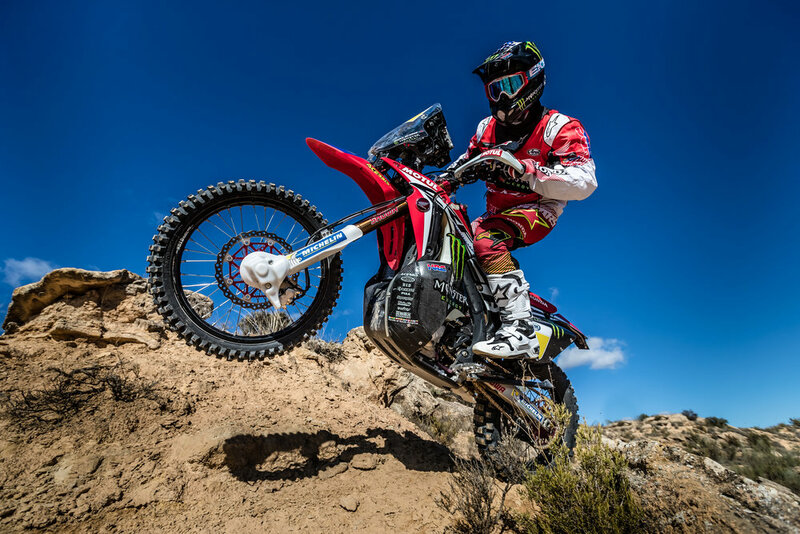 The youth from the U.S. had his best season to date in 2014, when he achieved the three most prestigious titles in desert racing: the Hare & Hound, Best in the Desert and SCORE, collecting the Baja 1000, Baja 500 and the Baja 250. 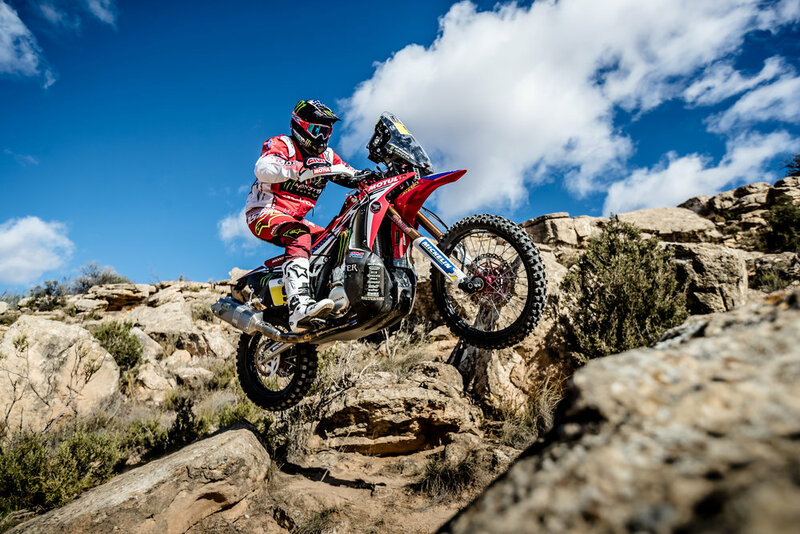 Such impressive honors didn’t go unnoticed to Team HRC who scouted Brabec before inviting him to take part in the Abu Dhabi Desert Challenge in early 2015, his first international participation where he was the top Junior and fifth overall. After an injury, he returned to the Hare & Hound, winning the last race. 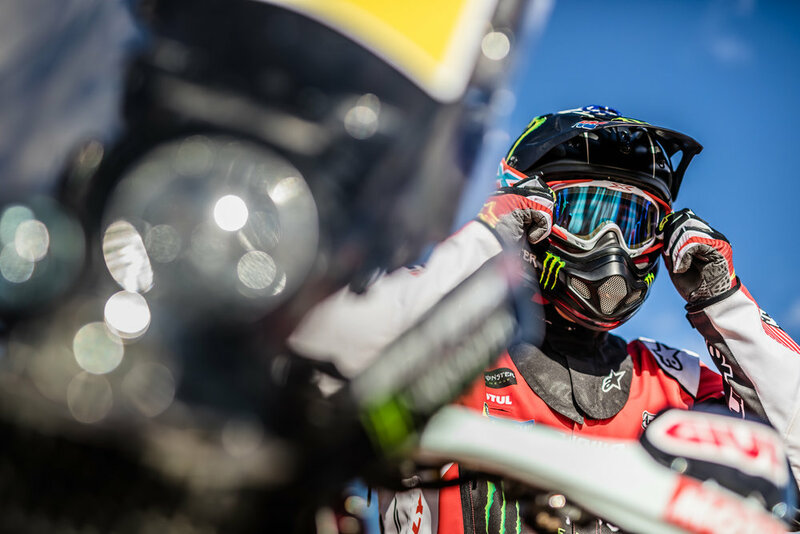 We caught up with Ricky in between his busy training schedule in southern California before heading to the 2017 Dakar. 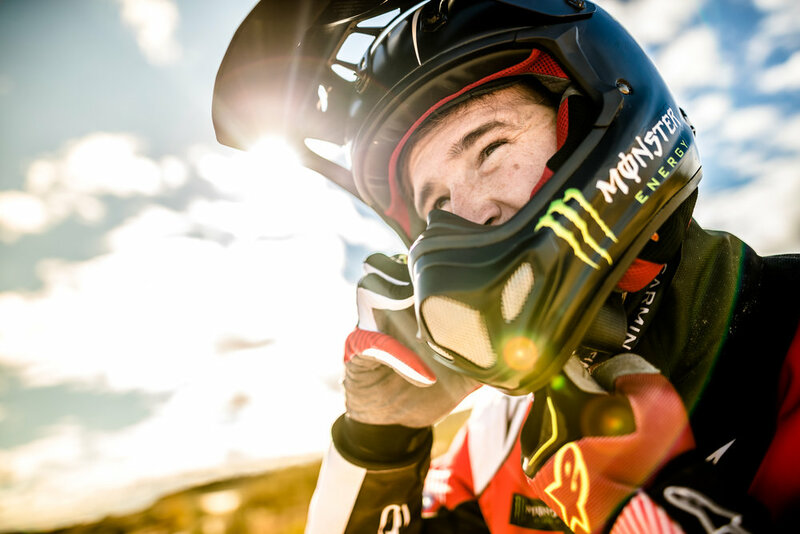 Upshift: Ricky, you’ve had a very solid year here in the states and in 2015 you finished 9th in the Dakar, had 3 top 10 overalls including Merzouga Africa Rally, Atacama Chile Rally and Morocco Rally not to mention a hand full of Stage wins. How would you say your year went? Ricky Brabec: In 2016 the results have been good, but I feel like it’s been kind of a roller coaster for me with learning a new way to race in the rally scene. I get confident racing out here in California and locally and then I go race rally and it’s a new ball game for me. So in my mind the results have been good and that’s keeping me happy so I hope to continue pushing forward and improving myself with every race. 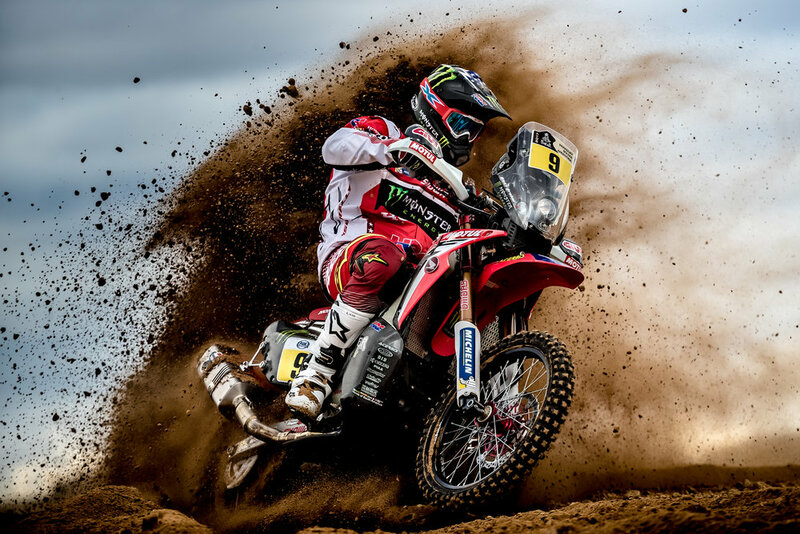 Upshift: With less than a month to go until Dakar stage one, how do you spend the last few weeks training and preparing yourself? RB: Before the first stage of Dakar, here we are. We’re in the last month before I head out. I’m going to spend as much time as I can riding the rally bike and training on road bikes that I haven’t ridden before with Johnny Campbell, and he’s going to mentor me and help me as much as I need. 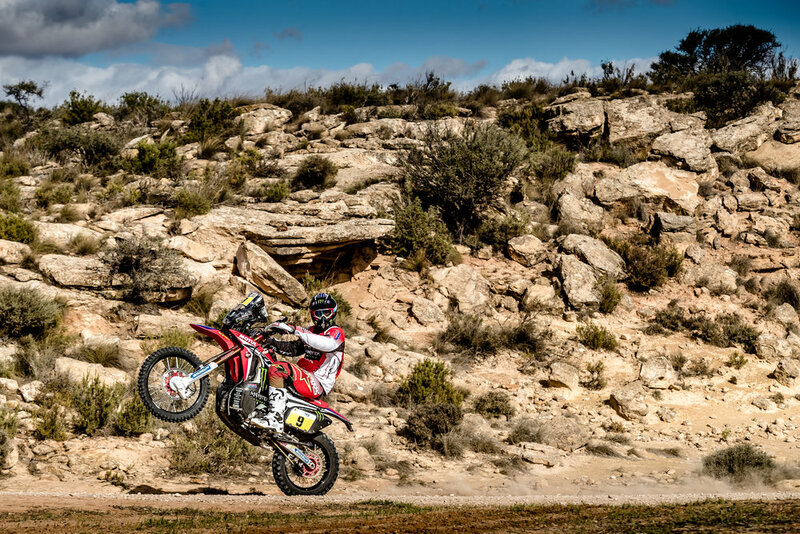 And I think I’m going to spend some time with Jimmy Lewis just basically riding road bikes to get the feel and to get the hang of it, because the Dakar’s in 14 days, so you’ve got to be mentally prepared for that. Upshift: You come into this 2017 Dakar with more experience. Will you approach stages any differently now having 2016 under your belt? RB: Yeah, of course. Last year’s Dakar, I had no idea what to expect other than what people have told me. Now that I have one Dakar and multiple rallies under my belt, I’m going to go into 2017 Dakar fully prepared and fully aware of what conditions we’re going to be in, and I think I’m going to tackle Dakar a little bit stronger next year. Upshift: You mentioned Johnny Campbell and Jimmy Lewis. I’m assuming that you’re also working with Martino Bianchi? RB: Yeah, Martino Bianchi is the rally team manager, so I work really close with Martino. He’s a manager of me in the overseas. Upshift: Are there different roles for each of you on the team? RB: As far as a different role for each rider, of course each team has a main rider, and then all the other riders are the main rider’s support. In the Dakar it doesn’t matter who’s out there. If you see someone broken down or crashed out, you always stop and ask if they need help. But of course I want Honda to win, so I’m going to push as hard as I can and do the best I can. Upshift: Absolutely. With the team based in Spain, how much time do you spend riding over there, as well as here in California? RB: [chuckles] I don’t spend very much time riding over there. You can’t beat the riding in California. We have everything out here, and every time I’ve been out there, in different countries riding, it’s just a lot of dirt roads and sand washes. Out here in California we have rocks, sand washes, roads, single track and motocross tracks. Upshift: Do you feel a sense of pride being one of the few Americans to compete in the Dakar? RB: Yeah, of course. Being one of the only Americans to race against all the Europeans is definitely cool. There’s a lot of weight on my shoulders because I want to make America proud and do the best I can and represent the USA, but you know a lot of people don’t realize how fast those guys are, so I’m trying the best I can to represent the USA. Upshift: You had great success in Baja. Do you miss racing the AMA District 37 races SCORE series, as well as Best in Desert? RB: Yeah, I grew up racing District 37. That’s kind of my grass roots of racing. Baja came along the way with my friends. Max Eddy said he’d help me get into Baja. Jim O’Neill helped me get into Baja. So I kind of conquered Baja for a year, and I do miss going down there and racing. Hopefully in the near future I can go back down there and race. As far as Best in the Desert, I have a feeling that they’re always going to be there. I have a championship in Best in the Desert. I do wish to go back and race there but the rally thing is a bigger goal of mine right now. I’m young and I have a lot of years to succeed in rally, so I’m going to kind of go after that right now. Upshift: We saw two of your teammates, Joan Barreda, as well as Michael Metge, compete in the Vegas to Reno this year. Is it something that you’ll try to do in 2017? RB: You know what? I was supposed to be the other Honda rider on a rally bike out there this year, but I got shipped overseas to go race in Chile. So, in 2017, I hope to be out there to Vegas to Reno on a rally bike so I can win. I want to win a Vegas to Reno on a rally bike solo, we’ll see. Upshift: We think we can speak for most of our readers when we say your Honda CRF450 Rally is a pretty outstanding race vehicle. Has there been a lot of development on the bike in 2016 that you could share with us? RB: I haven’t been around really long enough to know what they have done. I know back when Quinn Cody was riding that’s kind of where it all started. And now, I think that the bike is really good, and it’s better than last year. Upshift: Well, Ricky, we appreciate the time this morning and wish you the best of luck. We’ll keep an eye on you at the Dakar.